Beef Tripe is an amazing source of nutrition for your pet, shown to help with brain function, heart function, skin, and most importantly digestion! Our natural ‘green’ tripe is hand-trimmed to remove excess fat and sourced from 100% Canadian, pasture-raised cows. 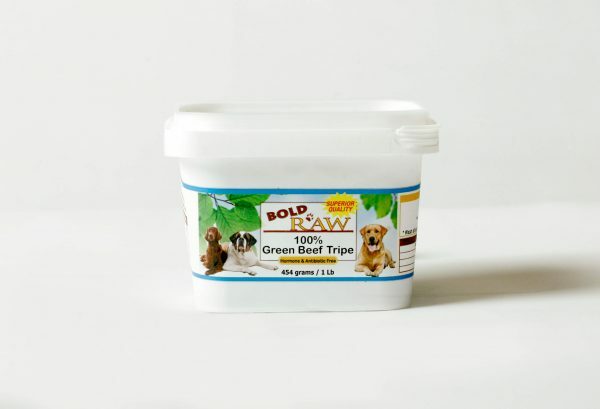 Tripe has a very strong smell, you may not like the smell but your dog will go crazy for it!